When marketing gets complicated, it pays to get back to fundamentals. For landscaping and lawn care companies, that means customer referrals. Referrals are the gold standard of marketing because they carry with them the strength of trusted relationships. That influence is why they predictably convert prospective buyers into new customers. In my joint survey with Landscape Management, 87 percent of respondents reported referrals to be their primary source of leads. They also indicated converting leads to sales is one of their top business challenges. A possible explanation is that online reviews influence buying decisions. Ninety seven percent of consumers check them and 85 percent trust them as much as personal referrals. In other words, online reviews, whether they are positive or negative, can make or break a potential customer relationship. Online reviews live on multiple Internet platforms, including Angie’s List, Yelp and Google. 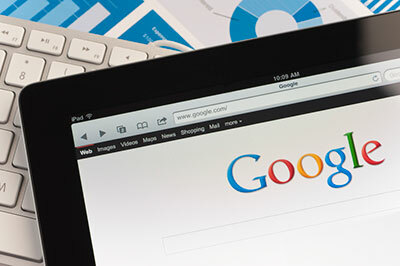 Considering Google accounts for nearly 90 percent of all search results, it makes sense to give that platform priority. Google created GMB (Google My Business) profiles to help businesses reach customers. This is a significant advantage for local businesses because search results are heavily influenced by location. Taking advantage of this opportunity gives you a legitimate shot at ranking on the first page of Google search results. The GMB terms of service are the rules. Google wants everyone to be honest and play fair on this playground. What’s good for customers is good for business. Get your expertise and story out there. Show people how you can make their lives better. Understanding the rules of the game gives you a competitive edge. For example, threatening reviews are against Google’s terms of service. You can use that understanding to get some negative reviews removed. Never try to game the system. A common tactic that gets profiles pushed down in search results is stuffing the GMB description with too many keywords. Google prefers natural language and will quickly spot this tactic. You’ll win this game by building trust. Completing all fields in your Google My Business profile optimizes it for search, including Google Maps. This information must be 100 percent accurate and consistent across all Google properties, which keeps the platform clean for the dozens of local search directories that pull data from it. Any inaccuracies will confuse the directories and affect your search results. This includes seemingly minor details such as sometimes abbreviating Avenue as Ave. You need to establish a standard and stick with it. If you want to get a quick check of the accuracy of your local listings you can do that at MozLocal. If it pulls up old listings that don’t match your current company name, address and phone number, you need to update or delete them. Your GMB profile description can be up to 750 words, but give special attention to the first 200 words. This is what shows up on the main page. Optimize it for location and anything else especially relevant for your buyers. Now complete the rest of the profile by adding photos and videos, and listing key services. Also, take advantage of GMB posts to feature special offers or events, such as an open house. Everything about your GMB profile matters, but reviews clearly have the greatest power to uplift its ranking and your brand image. You need a system to get favorable reviews. While you’ll have to explicitly ask for them, the truth is many customers will signal they are ready to give one after a job well done. To automate the acquisition of acquiring reviews, prepare an email template that guides customers through the process. It should include a direct link to your GMB page. Go here to learn how to create it. Note: While Google permits soliciting reviews, it is against the terms of service of Yelp and similar companies. Get to know their terms of service, too. You can also hire a service like ours to automate the review process and monitor your reputation. One reason for this is anyone can add content to your GMB, including Google, and it’s your responsibility to be sure it’s always accurate. You must respond to every single review, whether it’s positive, negative or neutral. This sends a signal to Google and every person that visits your profile that your business cares. People are impulsive, but if you try to make it right they just may have a change of heart and trust you again. And 45 percent of buyers report they are more likely to buy from a company when the owner responds to reviews. Responding to all reviews also builds advocates. Some people will actually remove their negative review, which is something the business cannot do. The average GMB review score is 4.4. Try to stay at or above that. Use your review score as motivation to get more positive reviews, which will serve as insurance to keep your review score from dropping when a negative one comes along. Just remember, Google is watching.